I have posted a couple of times about this picture. 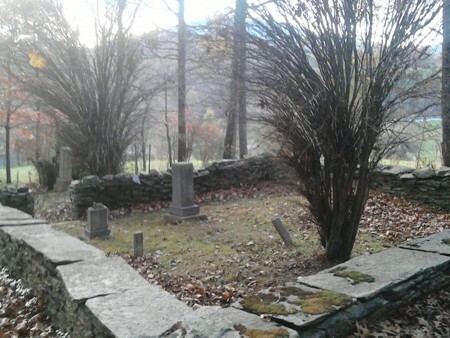 This was taken at the old Confederate graveyard in Bakersville NC. There is a strange fiery looking object in the tree on the left. It is very confusing because there were no yellow maples on the grounds. 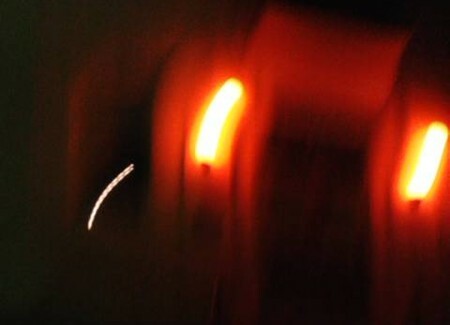 What you see in the photo are not leaves nor a spirit of any kind it appears to me to be a type of lens flare... I sometimes get those myself. I am the lead investigator of Southern Spirit Chasers. I know what you got are spirits. It's not lens flare. I'm not trying to be rude. Look very closely. You can see facial features, eyes, noses mouth, and part of a body in the dark bush and glowing one. Can't you see eyes, nose, and the mouth. I can. You are right on. Good eye!!. This picture was taken of the Bakersville, NC courthouse on Halloween night. This particular site fell victim to a dreadful fire during which the jail attached to the courthouse burnt to the ground taking the lives of most of the inmates. Also with this photo.... With the way the shot was taken... I could see a reflection in the front window. When the shot was taken there was extra movement which would make it look like an 'orb'. However the top photos was eerie and interesting.